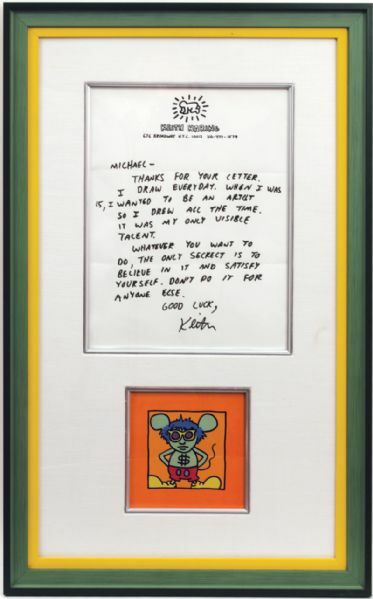 A Keith Haring ultra-rare handwritten and signed personal letter on his personal stationery. Housed in a custom-made hand painted frame with a color image of his famous Andy Mouse character. Haring letters are nearly non-existent and in great demand among pop art collectors. Handwriting and signature are in black felt tip pen. Measures 15 x 24.5. Auction closed on Saturday, October 16, 2010.